It’s easy to use tracking software to silently measure how your customers interact with you. Without having to actually ask your users anything, you can measure completion rates, task completion times, rates or errors, conversion rates, time-on-site, and more. But unfortunately, none of this background data gathering can ever tell you how your users feel about you. These metrics don’t measure your product’s user experience, they measure your usability. Users want to be able to do what they need to do quickly and effortlessly, but it’s not the sole motivation for them to use your service. Getting away from software for a second, let’s take a look at what makes a good dating experience. The perfect date is probably not the one where you fire questions back and forth, grab fast food so you don’t have to wait at a restaurant, and are home in time to watch Game of Thrones. The usability metrics would be outstanding, but you probably didn’t have that good of time. Rather, a good date is good for the qualitative, hard-to-measure reasons. You engaged on an emotional level, found common interests, and had fun. The environment probably also played a big role—the background music, the ambient lighting, the smell of perfume or aftershave. These things are very hard to track or measure, but all add up to a good experience. Usability is the “ability to use” something. A usable design requires less mental effort to use. A usable design leads to less mistakes made. And, when they are made, they’re easily fixed. A usable design can do more, faster. A usable design is picked up quickly and without frustration. A good user experience is about feelings. You want users to enjoy interacting with you or your product, and feel good afterwards. Making something enjoyable to use is much harder to achieve than just making something usable. It’s also much harder to test—none of the things that influence emotions are easily tracked or analyzed. It’s a touchy-feely kind of thing. Bonus: Want a headstart on getting feedback on your product’s UX? Get moving with this free resource. Give this questionnaire to some of your customers to get quick feedback on your product’s UX. Subscribe to receive this extra resource. Obviously, users generally prefer designs that are fast and usable to designs that aren’t. I’m not advocating intentionally making your design less usable. But you might be surprised to learn that people prefer the most usable design only around 70% of the time, according to Jakob Nielsen. Usability and satisfaction are strongly correlated, but not identical. People prefer the most usable design only around 70% of the time. There are no strong paradoxes—a very usable design will always outperform an unusable design. But a very usable design might be outperformed by a slightly less usable design. So it stands to reason that at some point, focusing on usability above all else will have diminishing returns. MailChimp has created an entire guidebook on how to write to accommodate the feelings of their users in any particular situation. “Though our voice doesn’t change much, our tone adapts to our users’ feelings.” When their users have completed a task, MailChimp uses casual language that encourages happiness and relief, and injects a bit of humour. But when something goes wrong, and their users are feeling confused and stressed, they purposely avoid humour, clearly explain what the problem is, and offer guidance on what to do next. MailChimp high-fives you every time you send out a newsletter. Emotions: Pride, Relief, Joy. How Can You Measure Satisfaction? The most common way to measure satisfaction is through a Net Promoter Score (NPS). This simply asks “How likely are you to recommend us to a friend?”, along with a scale from 1 to 10. From these answers, responders are split into three groups: promoters, passives, and detractors. Promoters are people who scored a 9 or 10. They’re in love with your service, and have probably already told their friends about you. Passives score a 7 or 8. They’re happy with your service, but not in love with it. This could be due to a lack of usability, or a missing feature, or it could be that your service is perfectly usable but just not fun. Detractors score a 6 or below. They aren’t happy, and wouldn’t recommend you to a friend. Once responders have answered the question, you can then prompt them with an optional text field to explain their decision. Most people won’t fill this in, but the ones who do will give you valuable qualitative data. The solution here is to use the NPS results as a springboard to go deeper, and get to know your customers better. Research and interviews are the key here. Each segment of responders—promoters, passives, and detractors—can tell you something different about your product’s user experience. The promoters will tell you what they love about your service, but might not be able to point out the flaws. The detractors will be able to tell you everywhere you’re going wrong, but maybe not where you’re going right. The passives will give you a good middle-ground, and are probably the most useful segment to chase up. If you improve your service in such a way that redoing the NPS results in everyone giving a score two higher than before, that won’t mean much for the promoters (who already scored you with maximum points before), or for the detractors (who are probably still not happy enough to recommend you to a friend). But moving someone from a passive to a promoter will do wonders for your business. Unfortunately, in the wishy-washy touchy-feely game of user experience, sometimes really connecting to a certain demographic means alienating those outside of it. So don’t jump at every criticism. 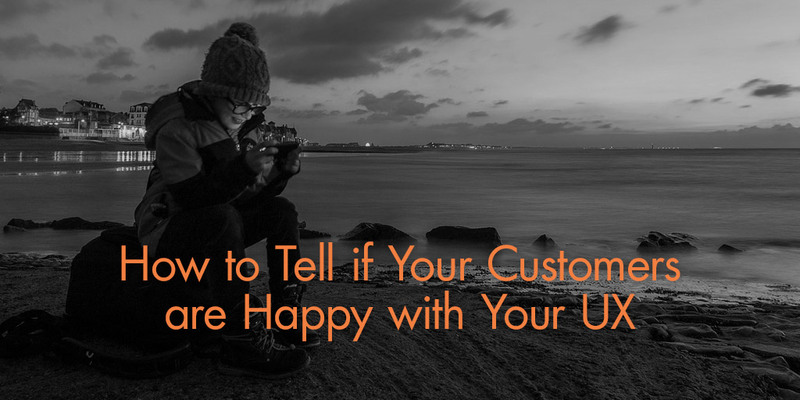 It can be ok if some people don’t like your service, as long as your target customers love it. Speaking their language, forming a genuine connection, and going beyond just usability will ensure that using your service won’t just be efficient, it’ll be something to look forward to.